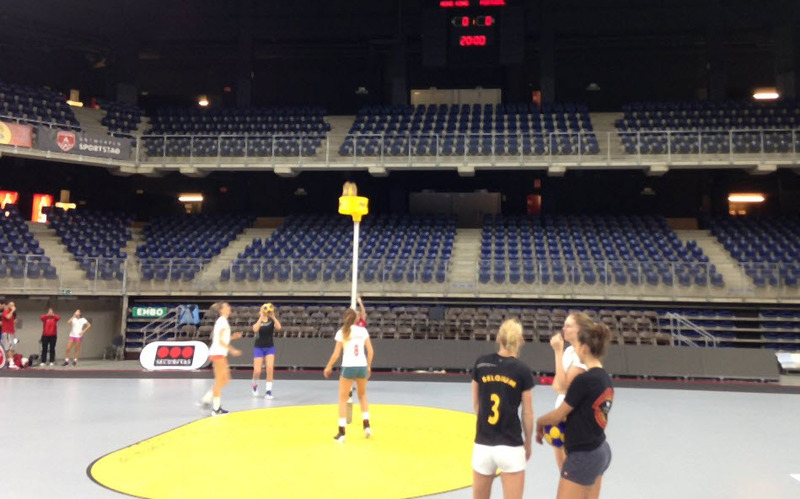 The World Korfball Championships switches venues to the Lotto Arena in Antwerp, Belgium for the semi-finals and final of the most prestigious competition in the sport. Held once every four years, the opportunities for other countries to prove themselves against the mighty Dutch and Belgian sides doesn’t come around often. This time around, the two sides joining the Netherlands and Belgium in the semi-finals are 3rd ranked Chinese Taipei and underdogs England. On the first day of the tournament, England and Portugal, ranked joint 4th in the world faced off in a Group D match which proved so critical to the progression of both sides. Tied at 18-18 after normal time, the Golden Goal winner for England scored by Blake Palfreyman sent Portugal into a spiral which led to defeat by China and failure to qualify for the World Games. Meanwhile, England have enjoyed their strongest tournament for decades, and Palfreyman has been England’s most dangerous attacker with 23 goals to his name in the past week. Chinese Taipei are worthy and expected semi-finalists, and managed to run Belgium close at the Quarter Final group stage, with Belgium eventually coming out on top 25-18. Privately, some England fans might admit that would be a good score against Belgium, but the England players will be giving everything in their efforts to secure a historic win and reach their first ever World Korfball Championships final. Watch the semi-final matches Live on YouTube today. Make some noise on social media, particularly to your club and sports media. This doesn’t happen often!